Be careful when unwrapping the toy, it has a lot of energy wound up in it. Once you have untied the toy, straighten the wire between your fingers by gently bending it back to a straight wire. This will help you control the wire to help your cat chase it. 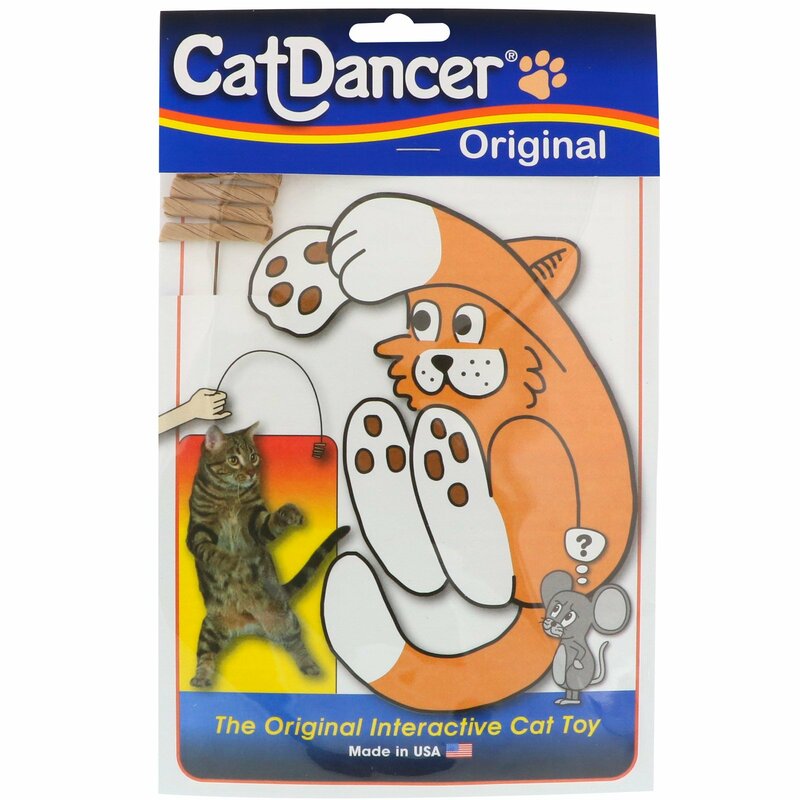 Cat Dancer, the action cat toy, will enable you to enter your cat's world of speed and agility, and share their playfulness and spirit of the hunt. Chasers - Three fun filled shapes for fetch, toss and carry games. Replace the toy when the cardboard pieces start to fall off, new ones cannot be attached. 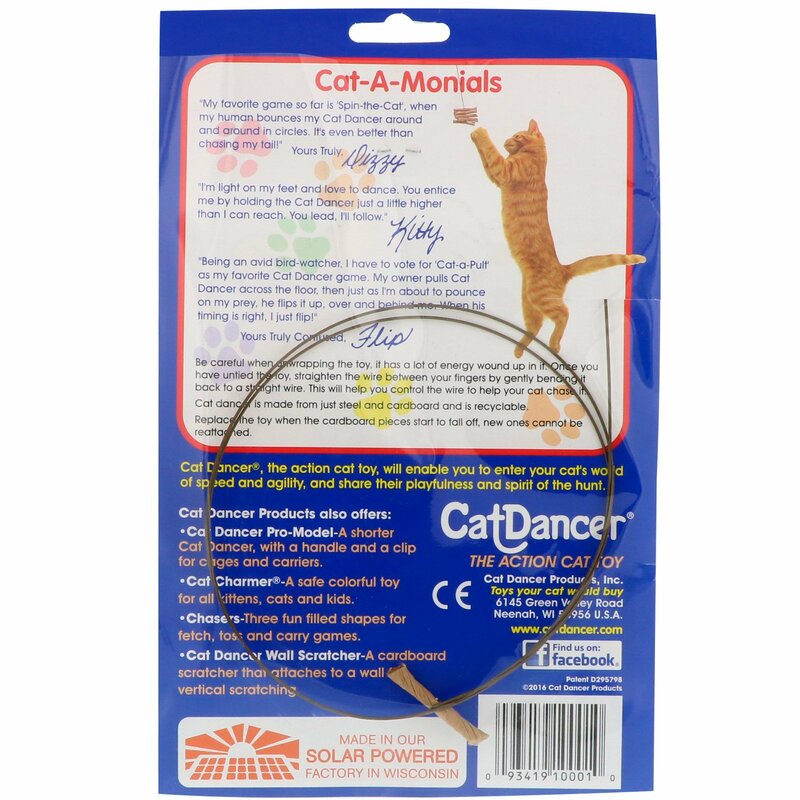 Cat Dancer is made from just steel and cardboard and is recyclable.